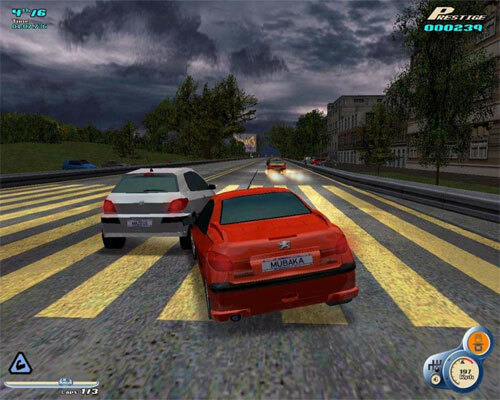 Ubisoft released Downtown Run on PS2 back in 2003 to join a number of other racing games such as Metropolis Street Racer and Midnight Club. Unfortunately for gamers, this game just doesn’t provide the intense experience or action that everyone expected to find. Downtown Run just wasn’t found to be at the top of its racing genre, primarily because it focuses on getting to the finish line first…and that’s it. There is no technical genius, no car specializations, no customizations—everything just revolves around a casual arcade-like gameplay of winning. Despite the fact that the game has a number of different modes and tracks, Downtown Run just lacks the close personal feel that a player would normally look for in a game. During the play through, gamers need to gather power-ups in order for them to defeat other opponents. In order to lessen the challenge, or balance it out against the numerous tracks, there’s a large number of power-ups to collect and use. However, the number is so large that the game almost becomes an ease to get through, turning a challenge into a first grade read through. The number of modes range from Normal, Special, and Extra. Players have the option of a quick race, a count down race, last man standing race, bet races, championship races and a few others. Regardless of what mode they choose, players can unlock cars in any stage. Then they’re off to the race tracks, ranging in numbers from one to thirty, all filled with different obstacles and countdowns of their own. Some of the most advanced tracks, such as the London Walk in the Park and the Kremlin Gates races, are only available on Championship mode. As expected, the higher the level, the more cars and the more tracks you can unlock and use. There’s a number of prestigious cars to choose from, as well, including Ford Mustang, VW New Beetle and the Audi TT. Both beginner racers and expert players were pleased with the line of cars available, but the lack of customization made it feel impersonal. In terms of graphics, Downtown Run provides players with a fantastic atmosphere of beautiful cities around the world to drive through and admire. However, the ambience is not as attractive nor as realistic as the original cities of the world. Most of the action that is provided in the game is based on instinctive handling of the game controls. The “heart” of the game, so to speak, all revolves around the racing itself. Everything is about getting to the finish line first while being pinned against other cars and players, using multiplayer. 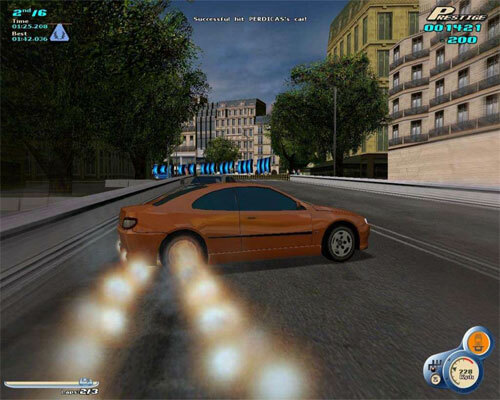 Overall, it appears that Downtown Run made an attempt to compare to other games of its genre, and failed short of including the action, excitement and thrill that a racing venture possesses, leaving players with only one goal in mind—to get to the finish line—as opposed to having more objectives or other missions to look forward to like other action-packed racing games that balanced the race, the personalization, and the track difficulties.